The Republican Party of Iowa is once again presenting awards for 3 different levels of volunteer service. Chairman Kaufmann has asked that we forward to you his statewide call for volunteer nominations for 3 different categories of volunteer achievement; that call is below. Please note that nominations are due by noon on January 16, and there is a link included for you to make a nomination. I also want to wish you all a very Merry Christmas and a Happy New Year. For those of you who are traveling, I pray for safe travels as you visit your family and friends. 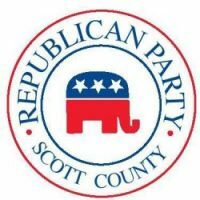 Thank you so much for all that you have done for the Scott County GOP. Thank you for this incredible election year and for your part in electing Republicans in Iowa and the nation!